23 August 2016, SINGAPORE – Canon Singapore Pte. 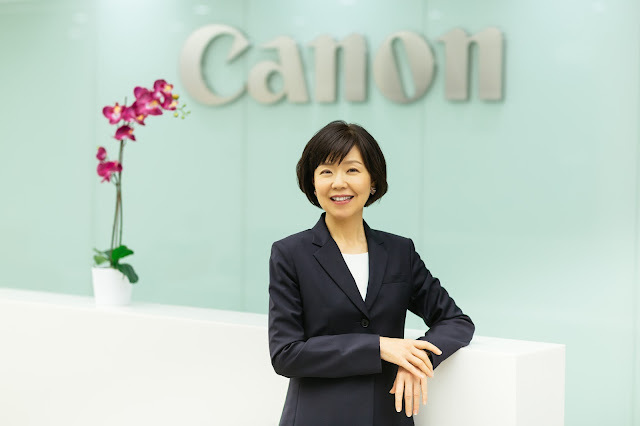 Ltd. (Canon Singapore) today announced the new appointment of Ms. Noriko Gunji as President and CEO of Canon Singapore, the regional headquarters for Canon in South and Southeast Asia. Ms. Gunji has also been appointed as Executive Officer of Canon Inc., earlier in April this year. She moved from her most recent role as Vice President of Canon China. Based in Singapore, Ms. Gunji will oversee and lead Canon employees and business partners in the area of sales, marketing and operations in 18 markets, including the domestic Singapore market, national sales offices in India, Malaysia, Thailand, and Vietnam. “I am honoured and enthusiastic to lead Canon in this culturally diverse and dynamic region of Asia. There is immense potential for growth and I look forward to working together with my colleagues to bring a wealth of innovative imaging and business solutions to our customers. We will also continue our work on sustainability and corporate social responsibility in the environments we operate in, making Canon an even more attractive company for our employees, partners and customers,” said Ms. Gunji. Ms. Gunji started her career with Canon Inc. in Tokyo in 1987 and has more than 25 years of experience in various management roles, including in-depth familiarity with the China market. Ms. Gunji took over from Mr. Kensaku Konishi, a Canon veteran who had served as President and CEO in Canon Singapore since 2012. Mr. Konishi has moved to Malaysia in his new assignment as Chairman and CEO of Efficient MailCom Sdn Bhd, a company of the Canon Singapore group.